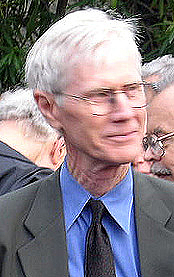 Orville Schell was educated at Harvard University and the University of California, Berkeley and is the author of numerous books and articles on China. The former dean of the Graduate School of Journalism at Berkeley, he is presently the Arthur Ross Director of the Center on U.S.-China Relations at the Asia Society in New York City. Orville Schell is currently considered a "single author." If one or more works are by a distinct, homonymous authors, go ahead and split the author. Orville Schell is composed of 2 names. You can examine and separate out names.